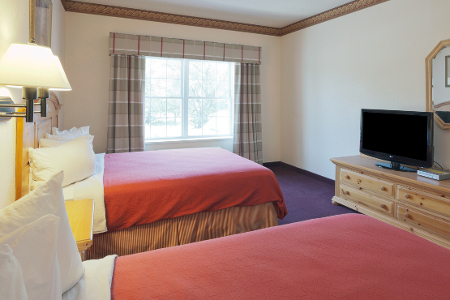 From the first freshman tour to senior graduation, don’t miss a moment of your SUNY Cortland student’s journey by booking a room at the Country Inn & Suites® by Radisson, Cortland, NY, located within walking distance of the campus. 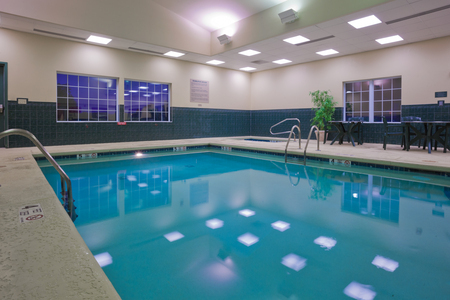 Our hotel is also ideal for families on a fun Finger Lakes vacation or corporate travelers visiting nearby businesses like Gutchess Lumber or Pall. 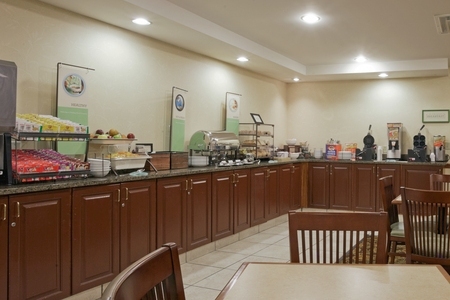 Skim the headlines of the free weekday newspaper while you enjoy waffles, fresh fruit, yogurt and more at our complimentary, hot breakfast, served daily in the dining area. When you’re ready for lunch or dinner, head out for brick-oven pizza at Brix Pubaria, succulent seafood at Doug’s Fish Fry or a mouthwatering meal at another nearby restaurant. SUNY Cortland – Just across the street from the Country Inn & Suites, SUNY Cortland is home to Red Dragons athletics, more than 60 major academic programs and nearly 6,000 students. If you’ve scheduled a college tour, simply walk a few minutes down West Road to reach the campus. The 1890 House Museum – Explore this 15,000-square-foot Victorian mansion built by the Wickwire family during America’s Gilded Age. The 30-room home showcases elegant architecture and period design just five minutes northeast of our hotel. 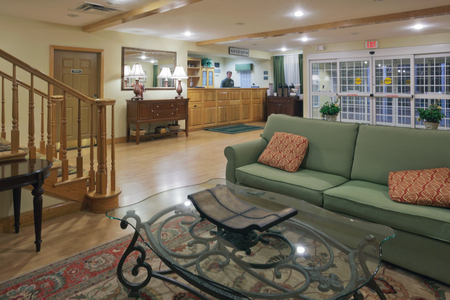 Finger Lakes of New York – Our hotel is on the east side of the Finger Lakes region, home to a wide array of wineries, breweries, hiking trails and lakes. Take a day trip to browse shopping centers like Destiny USA and explore museums like the National Susan B. Anthony Museum & House. 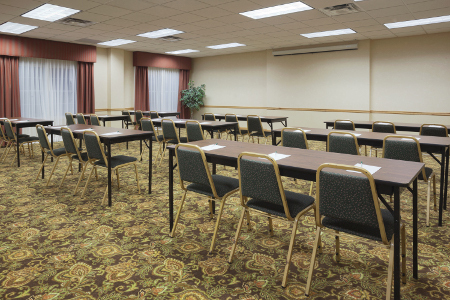 Equipped with amenities like free Internet access and an LCD projector, our 1,100-square-foot meeting room is perfect for wedding receptions, conferences and seminars. In addition to excellent group rates, we also offer a personalized Web page to enhance your event.